Looking for a PS2 Emulator for Mac OS X? 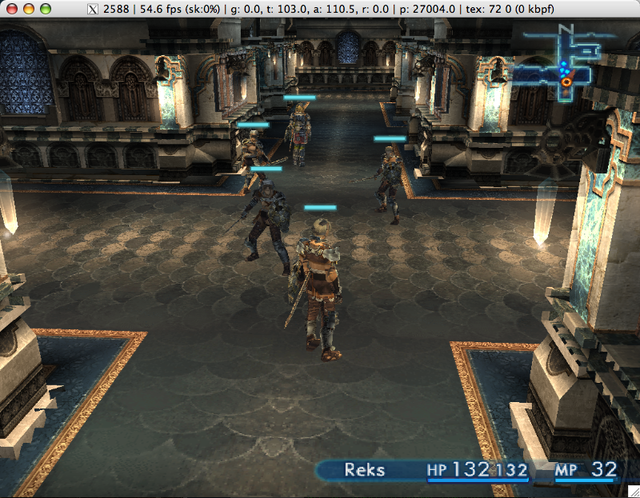 Look no further then PCSX2, a full blown PS2 emulator for Mac OS X that works surprisingly well. I say surprising because it seems development work is a little infrequent and there are some features left to be desired, but it certainly works and the frame rate is pretty high on my MacBook. Finally, I can play all my favorite PS2 RPG’s right in Mac OS X! You can download it for free at the Developer home or just jump to Download now. You may want to check to see if newer versions are available, but as I mentioned, development is seemingly sparse. Enjoy! Installing this is near impossible, only for the very hardened Unix geeks. Finding the install guide is a challenge in itself. Well, the package approach is simpler, just install and run, i need to remove old scripts/info on trac project. I haven’t put a game in yet, as I don’t own a PS2, or any games. does any one have any idea what the problem might be? david the problem in ur case is that it doesnt run on snow yet.. I have the latest pcsx2 and m using leopard…. Does this run on Snow Leopard? check this for installing guide, it requires more stuff than just the emulator. but how are games played on it? if you download the moviestorm installer for mac, it comes packaged with the NVidia CG framework installer which is no longer available for download if you follow the link on the developer’s site. Yes that would be very nice to know. My thoughts exactly. The Dolphin emulator is a breeze to navigate and, most importantly, runs without a hitch or hair tugging hiccups. Sadly PCSX2 is the inverse to Dolphin (or a number of other emulators). As many have mentioned prior, the setup is not easy. However, I enjoyed the challenge but my enjoyment quickly ran-eth dry once I ran a game. The frame rate sat around a much respectable 60 fps but the sound lagged and gurgled and the video was distorted. I spent a good time tweaking my settings but to no avail. I applaud the creator for his efforts but I can’t give this emulator my recommendation. I will be sure to change opinion if I should somehow manage to make it work right.